"Hothouse" - If things could be forced like this feelings produced out of place sticky plumbago a blue mild as your eyes, or the wild throaty red of hibiscus slapping at me, an arranged memory - not what I'd choose. Home I never thought to miss. Specimen too, I sweat under glass, space false as a moonbase or slow deserted zoo. What you may visit but never know. 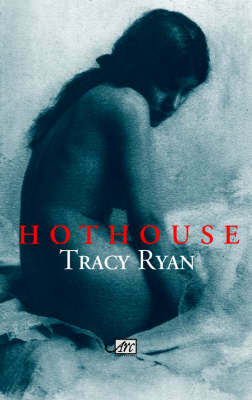 "Hothouse", Tracy Ryan's most recent collection of poems, was published in 2002 in her native Australia to great critical acclaim. It is essentially a collection of flower poems which focus, not on the alienation of humans from the plant world, but instead their similarities. In them we see the grafting of the organic world onto the personal, the emotional, and the sexual, in language which is both 'bluntly luscious' (her own phrase) and at the same time 'pruned' into deceptively simple, short lines.